Gaming is one of those things, smartphones are popular for. It’s what gave the console manufacturers a run for their money, with companies like Nintendo and Capcom already porting their games to popular mobile platforms and much more on their way. The annual upgrade cycle of smartphones and their operating systems have brought smartphone gaming experience close enough to console-class gaming or for that matter desktop-class gaming. 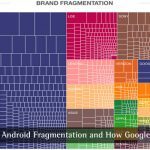 With Android’s recent release of Nougat which brings the Vulkan API to game developers and the iOS developers making use of the Metal API for games, gaming on smartphones have never been better. We’ve seen requests from our readers for some first-person shooting games. 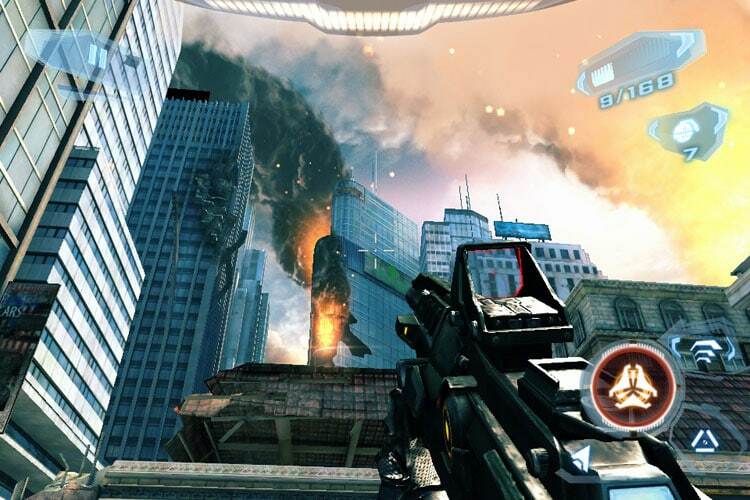 So here we are, bringing some of the most popular and best fps games for Android. 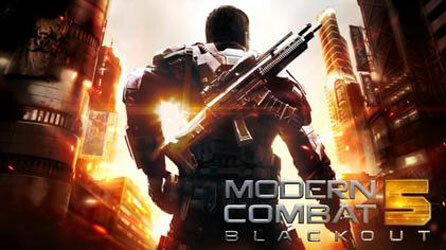 The first game on our list comes from the popular first person shooter series, Modern Combat 5. As the name suggests, it’s the 5th installment in the Call of Duty for Android inspired series, Modern Combat. The game is published by Gameloft and sticks to the slick graphics and stunning visuals that the franchise is popular for. The game offers both single and multiplayer modes, while the idea behind a game like this may seem familiar, the new features and storyline always make Modern Combat a fresh feel to the players. The game is free but contains in-app purchases. Where the game gets a little annoying is the fact that it requires you to be online to play the single player mode (this means, gamers who ask “Is modern Combat 5 offline” may get disappointed). Which is a drift from the initial gameplay form is in the which you didn’t need any persistent network connection to play. The game features 4 classes that a player progresses through while playing the game. Assault, Heavy, Recon, and Sniper. Aside from the annoying requirement of an internet connection, the game is great and anyone who loved the previous Modern Combat games would grow to love this iteration easily. Do note however the download size is pretty enormous so make sure you are on WiFi connection unless you want to loose your precious cellular cap. If you are really want to know How to Play Modern Combat 5 Offline, then you can head over to this link on Quora, we did not try the technique and so we cannot guarantee the game could really be played offline. There have been times in history when the world has seen the rise of games like Flappy Birds and Angry Birds which goes viral and takes over the world with their simple graphics and great controls. Games like those give you a laid back experience and are mostly for audiences without prior gaming experience. Then there are games which pop your skull open, steam your brain and put it right back in. Dead Trigger falls into the latter category. 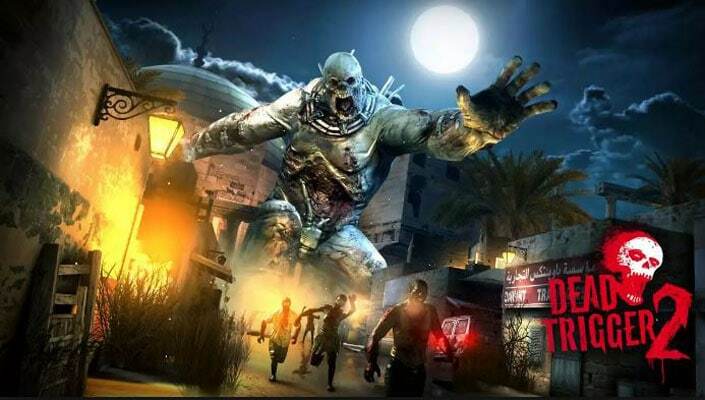 Dead Trigger strikes the perfect balance between a casual title, offering a 5 – 10 minutes of casual gaming experience while being engrossing enough to offer you hours worth of great gaming. Dead Trigger is a game based amidst a Zombie apocalypse scene. What made the original Dead Trigger game successful was it’s simplified controls and mechanics, and most of that has been carried on to Dead Trigger 2. One of the biggest flaws in its predecessor was the repetitive gameplay and lack of content that it had to offer, all of this has been fixed with Dead Trigger 2. The game is harder, a lot harder than the original version, not to mention that it has more content to offer as well. Players unlock weapons either through gold or via blueprints which drop from super zombies. We’ve covered Modern Combat as one of our best shooting games for Android of choice. Gameloft, the company behind Modern Combat makes a bunch of games and one of the games which have gained recent popularity is NOVA series. While Modern Combat gives you the experience much like Call of Duty for Android, NOVA is based around a more Halo-like theme with most of the gameplay occurring on our earth invaded by aliens. As the game progresses you’ll find new ways to engage enemies and kill them. The graphics are absolutely stunning and are nothing short of a desktop class game experience. In terms of weapons, you have a lot of choice from the inventory and you will be able to acquire new ones using the currency you unlock on killing enemies. Controls on the game, however intuitive, may sometimes get weary and does take some time getting used to. NOVA 3 Freedom edition is basically the usual NOVA 3 game, minus the price you needed to pay initially. So all in all its a great free to play games with little to moderate ad intrusion. 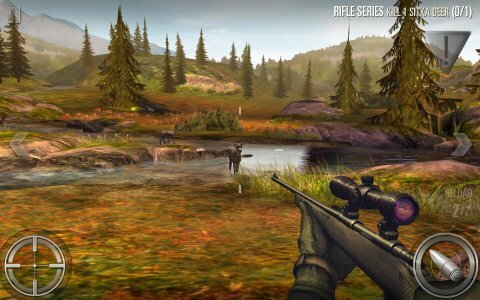 Switching gears from scenes of war, apocalypse and alien invasions to a more serene setup, we have Deer Hunter, the popular hunting game for mobile. The newer version is better than ever with great graphics and stunning visuals. The Deer Hunting franchise has been around for over 2 decades (yes you heard it right that’s 2 decades). Over the years it’s grown into a collection of over 20 titles each getting progressively better in terms of graphics and gameplay. In the course of its existence, it’s changed the corporate structuring. Currently, Glu Games holds the licenses to the franchise. Deer Hunter 2016 is by far the best one in the series. If you’ve played other Glu Games titles like Dino Hunter: Deadly Shores or Frontline Commando then the control would feel just at home. The 2016 edition of the game uses an energy meter but it’s a way more flexible than other freemium offerings. As the name suggests you need to hunt deer i.e it is an animal hunter game. What’s most challenging about the game isn’t actually hunting the animal. It’s collecting the cash to upgrade your weapons so that you can advance through campaigns. So unless you’re ready to shell out a few bucks you’ll find yourself repeatedly grinding out the same levels to gather some cash to upgrade your inventory. Head over to the link below to download Deer Hunter 2016 and to download the deer hunter 2014 game if you have not played it before. I’ve mentioned Call of Duty a lot as a reference metric for the previous games in this list. If you’ve stuck around this long then this section is a treat for you. In late 2013, Activision figured out that they could finally continue the Call of Duty franchise on the rising platform that was Android. 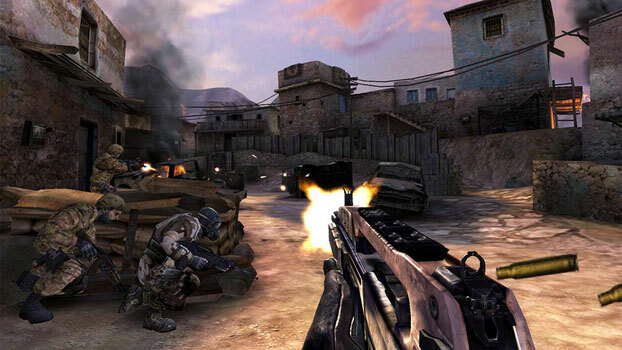 Call of Duty for Android has been one of the flagship gaming titles for First Person Shooter games. What’s best about Call of Duty Strike Team is that isn’t a simple port of the game, it’s built from the ground up. The gotcha here is the $6.99 price tag that comes with it. As a player, you’ll be leading a Joint Special Operations Team in an effort to save the world. The game is set in the year 2020 and the world is plagued by a war. While the campaign mode of the game is good enough to keep you engrossed for hours, it’s the survival mode that’s a nail biter. The controls are fairly straightforward and aside from the steep selling price, the game is definitely recommended for Call of Duty fans. For our last pick, we return to our favorite form of worlds end scenario, Zombie Apocalypse. Zombie Gunship is, as the name suggests, a zombie apocalypse based games where you have to shoot zombies. Where Zombie Gunship differs from the other titles is the fact that you won’t be facing the zombies, head on, instead, you as the player will be in the gunner seat of a heavily-armed AC-130 ground attack aircraft. The UI of the game is what attracted me the most to it. 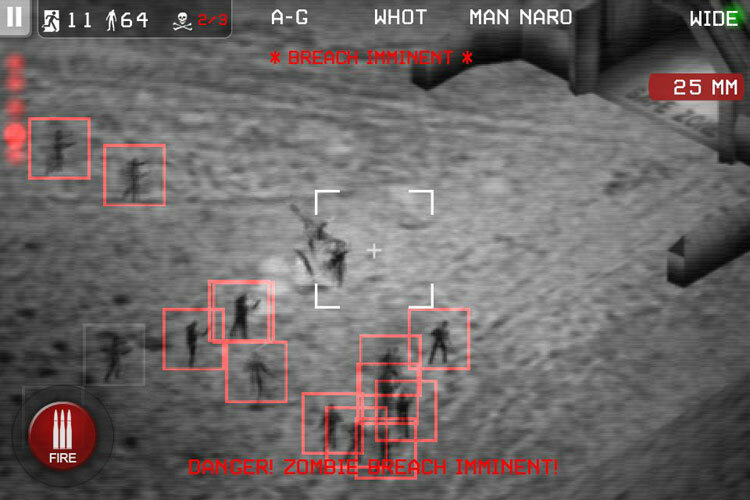 It’s a view from an infrared viewfinder and you are just supposed to shoot the zombies. This game is fairly fast paced game, and comes in 2 variants, free and paid, with the paid version being a fairly cheap offering for a game this good. Smartphones have come a long way since their initial introduction to the masses in 2006 with the original iPhone. Every year, silicon manufacturers upgrade their chipsets and pack in a million more transistors, essentially increasing the clock speed on the lower level and making the overall system faster and more responsive on the user’s end. While hardware upgrades each year are still limited by several factors (one of which would be Moore’s Law, which you can read more about right here), Software upgrades and optimizations have limitless possibilities. The better the operating system and applications are optimized and fine-tuned for the hardware, the better the overall performance will be, and this doesn’t directly relate to hardware upgrades. Take, for example, the iPhone 7 still runs absolutely perfectly on 2 gigs of RAM. Android on the other hand already has phones boasting 6 gigs and above. How does Apple manage to pull this off with such minimum hardware requirements? Software optimizations throughout the system. Mobile hardware, in general, has evolved significantly over the years and gaming specifically on mobile has grown to be a really immersive experience. With the platforms evolving at a significantly fast pace and hardware getting powerful each year, gaming on mobile is going to improve a lot in the coming years. A game is like a movie to me, but with more aura. It gives me a thrill of my own and Android have saved my live for giving my hand a peaceful nice day every weekend. This list is new to me and thankyou for your review bro. Prateek Phoenix. Well, that’s a great collection of FPS Games for Android. I have personally tried Deer Hunter & Modern Combat. Now it’s time for me to try out other Games too. Thanks for Sharing. Nice collection of action games, thanks for your information. 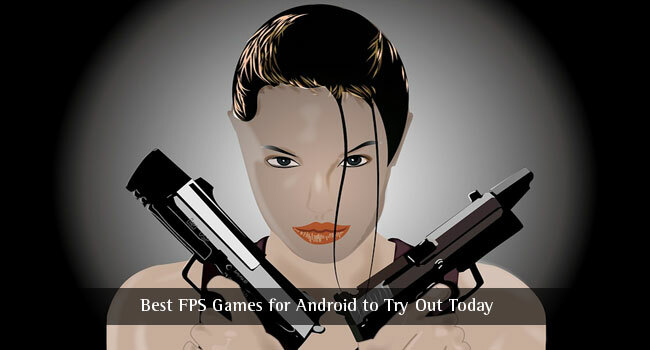 Good collection of FPS games for Android. Thank you. I love to play game on mobile. I’ll try these games on this article. Thank you. I played Call of Duty, addictive game I must say. Nice list of games, Prateek. Thanks for sharing this. I really love first person shooters. It’s my favorite genre in gaming. With the advent of more and more sophisticated GPU’s, gaming is becoming really interesting especially in smartphones. I really appreciate you for including my all-time FPS favorite game Call of Duty in your list. I’ll go play that now. Modern Combat 5 is a great game. The best FPS game ever I played. Play it; I’m sure you will love it. I love this list. Am a game lover. I really appreciate your effort in providing this games!